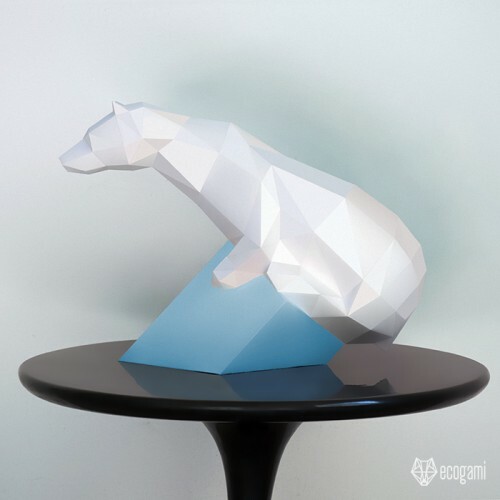 Make your own polar bear sculpture with our printable PDF pattern! It’s easy! Just follow the instructions & you will be proud of your polar bear balanced on its iceberg. Isn’t it a nice & funny sculpture for a corner of your home or even a gift for a wildlife lover? ► Difficulty Level: Easy – Some small parts in the head (ears & muzzle) but nothing very difficult.